Organizations and their partners unite to advocate for sustainable solutions in their bid to win the race-around-the world. NEWPORT, RI (March 21, 2017) - Sail Newport Executive Director Brad Read introduced Charlie Enright (Bristol, RI) and Mark Towill (Hawaii) as the new Vestas and 11th Hour Racing team announced their partnership for the 2017-2018 Volvo Ocean Race. Under the leadership of two experienced sailors from the 2014-15 race, Charlie Enright and Mark Towill, the Vestas 11th Hour Racing team is set to achieve exemplary results in sport and sustainability. "It's an exciting time: We've achieved a strong group of sponsors, and the boat has now been refitted and branded in Lisbon, waiting for us to get it out on the water," explains Enright, Skipper of the Team. "We're working hard on building a competitive team ahead of the Race, and have a couple of transatlantic sailings lined up for April and May." The Team will call at 12 ports around the world, taking the racing teams and the millions of Volvo Ocean Race fans on a 45,000-nautical-mile race around the world whilst raising awareness for the team's vision of a cleaner, healthier environment. The race concludes in June 2018, with a special final leg passing through Aarhus, Denmark, home to Vestas. In a mark-of-the-course event, the boats make their way to the grand finale of the Volvo Ocean Race in The Hague, Netherlands. Through harnessing the power of the wind, Vestas 11th Hour Racing supports Vestas' goals and is a unique platform to promote Vestas' vision to be the global leader in sustainable energy solutions. "The Volvo Ocean Race is a proven platform for Vestas and a unique strategic fit to promote our new vision and market-leading energy solutions in our key markets while engaging with customers," said Vestas President and CEO, Anders Runevad. "Furthermore, our partnership with 11th Hour Racing sends a very strong signal on climate change as two leading players within sustainability combine forces to promote sustainable solutions within wind and water." 11th Hour Racing Co-Founder, Wendy Schmidt, who is also President of The Schmidt Family Foundation, says sailors are the most natural advocates for the health of our oceans and waterways: "Mark and Charlie have been serving as ambassadors for 11th Hour Racing for the past two years, having witnessed first hand during the last Volvo Ocean Race the many ways pollution and plastic debris are destroying ocean life and threatening all of us. Our partnership with Vestas is about inspiring positive change in the way we think about energy and the natural resources of the planet. As co-title sponsors of this team, we will engage fans in increasing understanding about our vital connection to the oceans and showcase how embedding sustainability in a top level professional sports team can drive performance, efficiency and innovation. Our work has shown us this is a winning strategy." 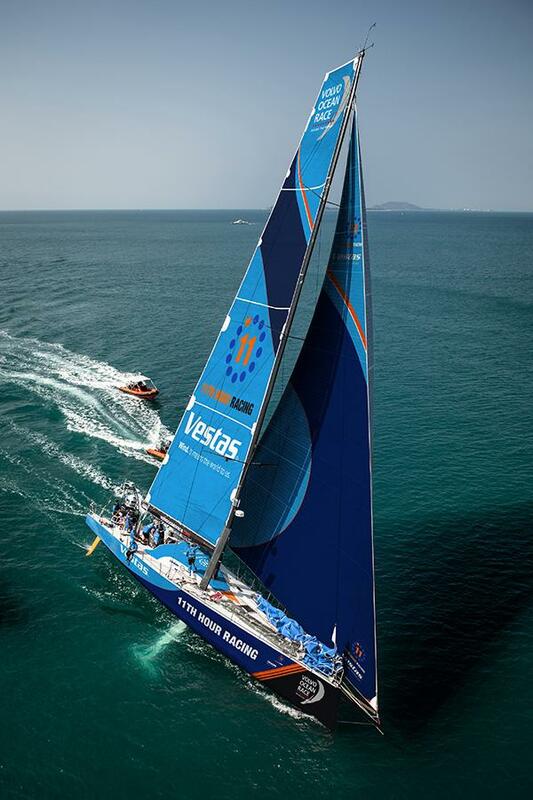 Additional support for Vestas 11th Hour Racing includes two sub-sponsors: official insurance partner, Argo Group, as well as official footwear partner, Sperry. Communications Manager, 11th Hour Racing, Inc.